Elkins Tri-Steel was created to meet a need in the steel and concrete market for better products, provided by true experts focused solely on solutions that helped customers achieve success. This simple philosophy was embraced by the marketplace. Elkins Tri-Steel has grown to become one of the largest suppliers of rebar and steel remesh in the Fort Worth area and throughout Texas. Our main customers include contractor supply yards, fabricators, lumber yards, pre-cast concrete and contractors. Elkins Tri-Steel has wide ranging coverage, with aregional presence, and a warehouse to service your local market needs. 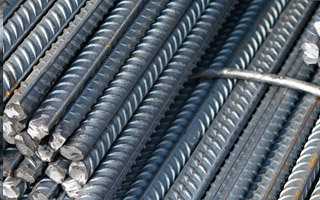 If you were searching for, "rebar supplier near me"...you've come to the right place. Growth is measured by more than just numbers. As we learn about the ever changing needs of our marketplace, we are deepening our relationship with our manufacturers, leveraging their power, servicing the fabrication needs of various market through our custom fabricators and narrowing our focus to those products and services that best meet the needs of our customers.